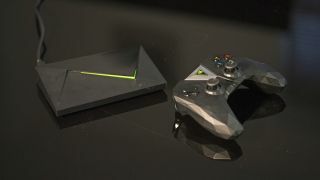 The Nvidia Shield TV was one of the first Android TV boxes to hit the market and it remains one of the best. Nvidia has continued to push a steady stream of updates out for the device, and it looks like another is in the pipeline. XDA Developers reports that the Shield's latest code refers to a controller called "Stormcaster" and a remote called "Friday", which may be replacements for the current input devices that are available for the Shield TV. The Shield TV box got a refresh in 2017 but the controller and remote remain the same as they were back in 2015 when the box first appeared (you get the remote included and the gamepad is an optional extra). That means these devices are overdue an upgrade and it looks as though new hardware might be imminent. There might even be a whole new Nvidia Shield TV box on the way. The names mentioned in the code don't tell us too much about these input devices, apart from what type they are. Both connect over Bluetooth, apparently, with USB another option on the gamepad controller. An Nvidia spokesperson gave a statement to XDA Developers which reads: "It's fairly standard practice for various concept codenames to appear in codebases. Those references remain even when it becomes unlikely that the concept ever goes into production." "We can't comment on which codenames refer to product concepts that are active vs which ones are inactive, as it can be fluid. However, I can confirm that none of the codenames below refer to products that have launched publicly." So make of that what you will. If you already have an Nvidia Shield TV, you might soon have some new accessories to pick from, and if you don't, you might soon have another reason to make a purchase.